As chairman emeritus of the Miramichi Salmon Association, J. W. Bud Bird (LLD ’87) is an enthusiastic salmon angler and conservationist, as was his late wife Peggy, who passed away in 2013. His donation of $100,000 to the Canadian Rivers Institute at the University of New Brunswick will help ensure that the mystery of declining wild Atlantic salmon stocks continues to be addressed by research in order to restore their numbers and secure their habitat for the future. The Bud and Peggy Bird Fund will be used to provide financial support to UNB students affiliated with the Institute, and fund ongoing and new wild Atlantic salmon research. 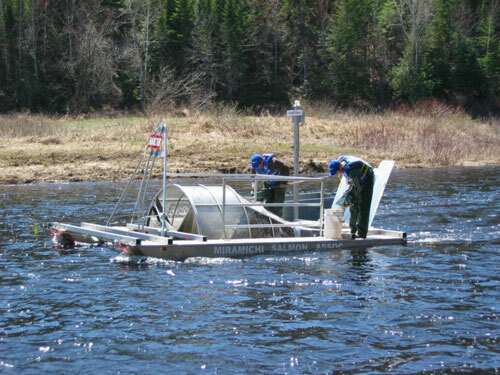 The Canadian Rivers Institute (CRI) is located on UNB’s campuses in Saint John and Fredericton and is an internationally-recognized collaboration of academics, regulators, industry, and non-government agencies who are committed to promoting research that will meet society’s priority water issues. Founded by four scientists just 15 years ago, the CRI now boasts 19 science directors, 81 research associates, 88 students and 30 research staff.